Tips for Choosing a Tax Prep Service | Sheltra Tax & Accounting, LLC. The Internal Revenue Service and tax software people lead you to believe that your filing is getting easier and easier. Meanwhile, the tax laws remain dense and complex. The distinction is that the simple and fast way isn’t always the best way. So why should you pay to have someone file your tax return? The top reason is that you can save money. If a tax professional finds just one item that you or your prepackaged software missed, it can more than recoup your outlay. 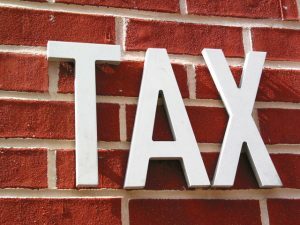 More difficult than deciding to choose a tax professional is deciding which one to choose. There are a bewildering number of options from chain preparers to single-person shops to tax preparation specialists. The big preparers have the same advantages that other retail chains have. Their employees receive some training, they are used to solving simple tax questions. Consider if your return is not complex and you are solving relatively simple problems, and they will take care of you quickly. Enrolled agents (EAs) are licensed by the federal government, have passed a comprehensive IRS examination, can represent you in disputes, and are required to participate in continuing education. To find an agent near you, check the directory at http://taxexperts.naea.org/. Consider if you have real or imagined fears of facing an audit. Also consider if you run a small business or you need help to reduce your tax liability. Consider if you need long-term tax planning, you have opened or closed a business, your life situation has changed dramatically, or you have had high tax bills and are looking for relief this time around. Tax lawyers are not necessarily return preparers but they can help with advice in complex legal circumstances. Consider if you are facing criminal charges. Regardless of the type of preparer you choose, it’s important to ask some questions before you drop off your documents and walk out of the office. In addition, you probably want to know if the professional is familiar with situations like yours, is safe or aggressive when it comes to deductions, what documents they will need, and how accessible they are once your return has been filed. Finally, watch out for these red flags with your preparer. If you see even one of them, walk away. Quickly. You are asked to sign a blank return. You are told your taxes can be prepared just using your last pay stub. Your return will not be sent directly to you or directly deposited in your bank. Your fee is based on the amount of the refund. This entry was posted in Blog, Taxes and tagged Enrolled Agents, Tax Prep Service, taxes on September 16, 2016 by Diana Sheltra.